And to top it off, Internet Explorer and Blogger are making it very, very difficult to post anything! There are some awards (see photo below) I have to share with everyone. I feel so bad not posting it immediately but between time constraints and Internet Explorer-Blogger problems, I'm really getting frustrated. The women that shared their awards with me deserve to have these awards bounced back to them because they always make my day. Everyday they stop by and leave me a message - what a way to start my day smiling! So ladies, thank you so much for sharing the love and making me smile. 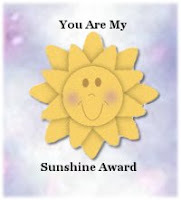 1) Tami of A Diary of A Mad Woman shared with me the You Are My Sunshine Award! 2) Veronica Lee of Of Mice and RaMen - shared with me most of the awards I got. She recently shared me the Best Blogging Award, Most Wonderful Favorite, Sushi Grade Award and But I was nice award. 2) Paula of A Party of Six share with me the Sushi Grade award, too. If you haven't visited their blog, please do - they'll definitely make you laugh, smile and leave their blog inspired. I'm sharing these awards to all of you who have stopped by and left me a comment or two. It's just shows that you care about what I post. Please visit everyone that stopped by and grabbed the awards - it's just a few clicks and their posts will put TONS of smiles on your faces. "If you believe you can, you probably can. If you believe you won't , you most assuredly won't. Belief is the ignition switch that gets you off the launching pad. " 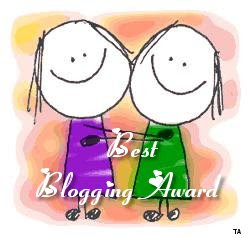 How to get your award so you can share them with your favorite bloggers? 1) Download the photo of the award and post it in your blog/site. 2) Share if to anyone (as many as you want) . You can either mention them and their blogsites within your post or you can leave a comment in one of their posts. I planned on posting everyone I shared the awards to but IE kept kicking me out. Thanks for the mention and for sharing the beautiful quotes. That's awesome!! 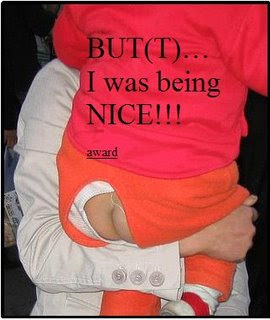 You're so sweet..I can see why they gave you those awards!!! Congrats on your awards :) That was sweet of them to share them with you!! I thought it was funny that you said about being busy with conserts and testing- cause thats what I just posted about! You so deserve the beautiful awards! I adore reading your blog! Thank you all for your sweet thoughts and compliments. All of you have made my day and keep me smiling.